Need some last minute gift ideas for dad? Why not give him a gift to make him stronger, faster, and safer—with the latest and greatest in cycling tech. Or you could always go with old faithful and give him socks. But not just any socks. The coolest footwear on the whole club ride; to make his riding buddies bristle with jealousy. The single best investment you could make in dad’s health would be to get him a new heart rate monitor. 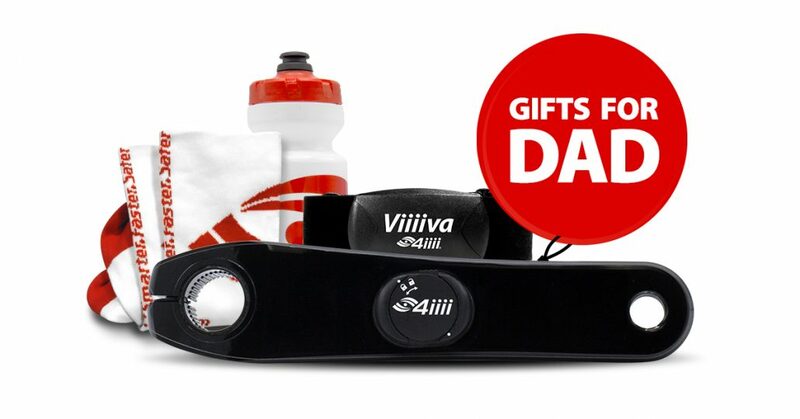 Viiiiva gives dad everything he needs to monitor his efforts on rides, and measure the health benefits of exercise. Dad will appreciateViiiiva’s advanced technology: it’s waterproof and has both Bluetooth and Ant+ connectivity. That means that he can use it to send data to his smartphone or bike computer, and also to act as a bridge to connect other Ant+ devices (like speed and cadence sensors, or running foot pods) to his phone as well. Fun fact: The authors of Younger Next Year insist that a heart rate monitor is the most important piece of exercise equipment you can invest in. It can tell dad what training “zone” he is in for any given activity, so he will know if he’s burning fat, building strength, or just plain not working hard enough. How strong is your dad? With a new powermeter, there won’t be any doubt. No longer are powermeters only the domain of professional and amateur racers; recreational cyclists are starting to realize the benefits of training with power too. A powermeter can tell dad exactly how much energy he is generating on his rides at any time. This gives him the ability to maximize his training time on the bike or to help pace out a longer ride or fondo event. Ask him what is wish list is for cycling tech, and there’s a very good chance he’s been dreaming about a powermeter. To learn more about training with power, read our introductory article, or get dad Training and Racing with a Power Meter by Hunter Allen and Andrew Coggan, Ph.D. Right now, our powermeters start at just $360. Read through our list of models and compatible cranks for road and mountain bikes to determine the perfect choice for dad (you may want to have him help). When you can’t think of anything else, there’s always socks. Socks though are an extremely important component of cycling style. Our Defeet socks will make dad more aerodynamic, with just the right amount of cuff on his ankle. And they wick away sweat and have venting on the tops to keep his feet cool. 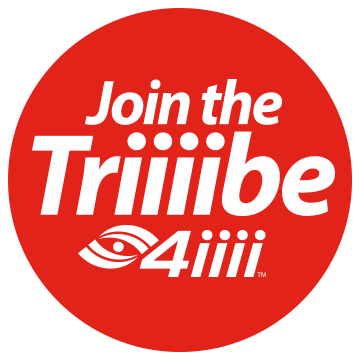 They proudly display the 4iiii logo on the front of the shin, while on the back of the ankle reads our tagline: Smarter. Faster. Safer. He’ll be the envy of his group ride. But which color to choose? If dad’s a roadie, he might like the flashy white with red logo. If he’s a mountain biker, he might like the black with white logo, as they’ll match everything and stand up to the dirt. But then, why decide? If dad is like most of us, he’ll want both, so he can wear the pair that feels right for his next big ride. We also sell full cycling kit and bottles. If dad’s a fan of riding, there’s something for him on our site.